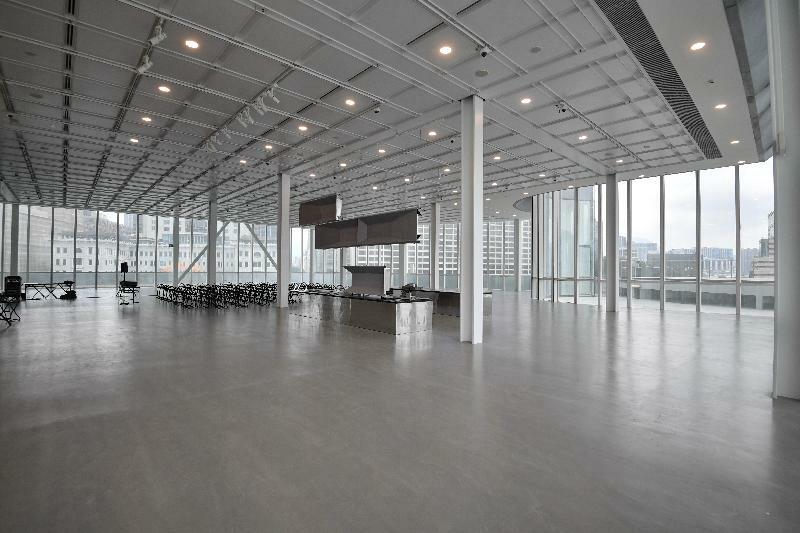 After major expansion and renovation, the Hong Kong Museum of Art (HKMoA) will be reopening in November this year. Media tours to preview the new look of the museum were held today (March 29). 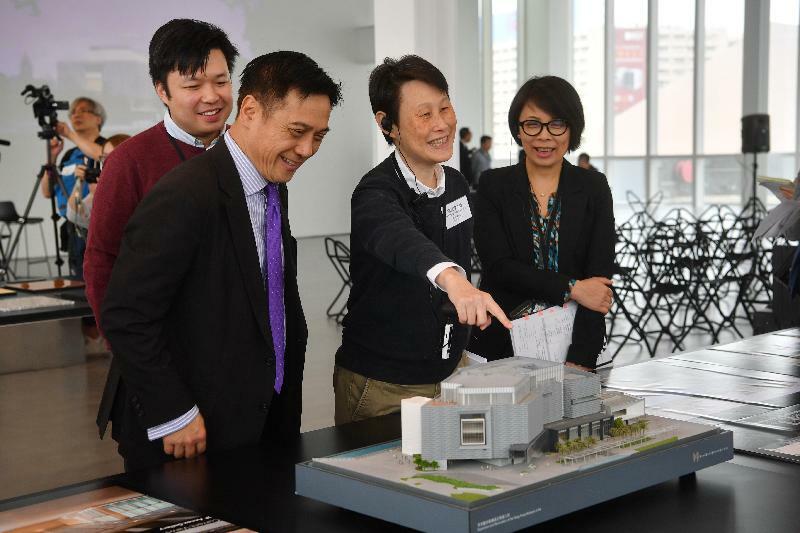 The Museum Director of the HKMoA, Miss Eve Tam, and Senior Architect of the Architectural Services Department (ArchSD) Miss Vivien Fung briefed the media on the architectural features of the renovated museum. The HKMoA has been closed since August 2015 for the renovation project to increase exhibition space and upgrade its facilities. 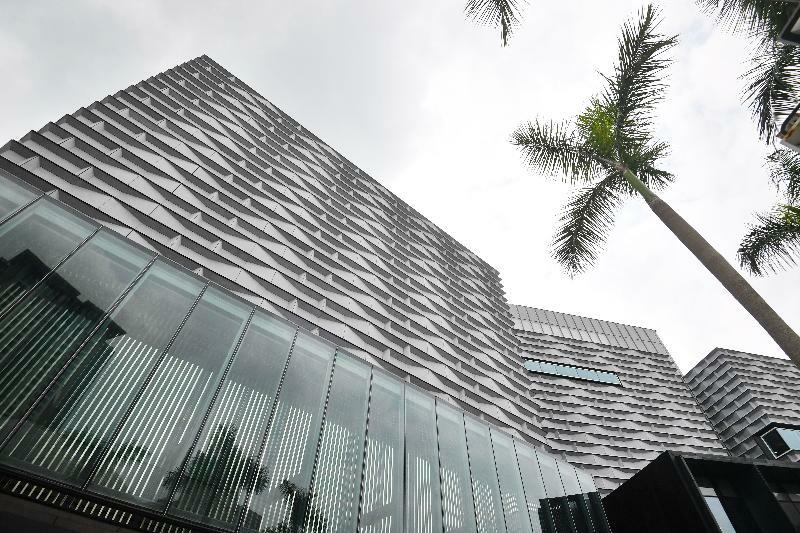 The renovation, undertaken by ArchSD, is creating a unique identity for the HKMoA with modern architectural features. A new glass façade presents a refreshed transparent design, enabling the HKMoA to stand out on the Tsim Sha Tsui waterfront. 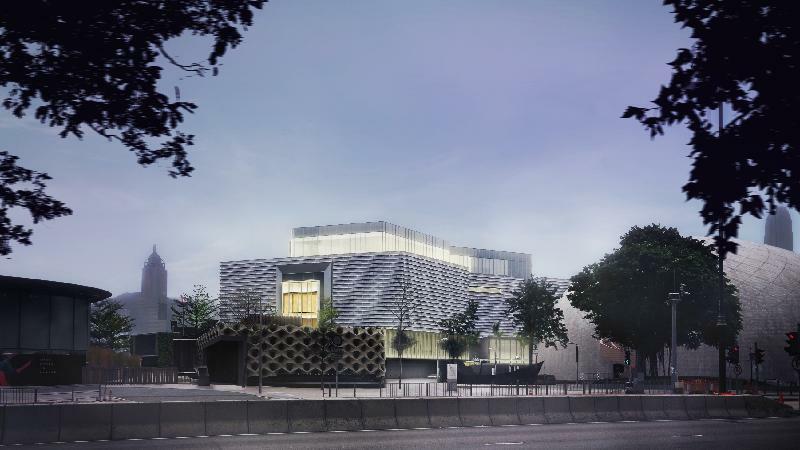 After expansion, the total exhibition area will increase by about 40 per cent from about 7,000 square metres to around 10,000 sq m. The number of galleries will increase from seven to 12, including a 9-metre-high gallery in the new annex block, which can display large-sized artworks. 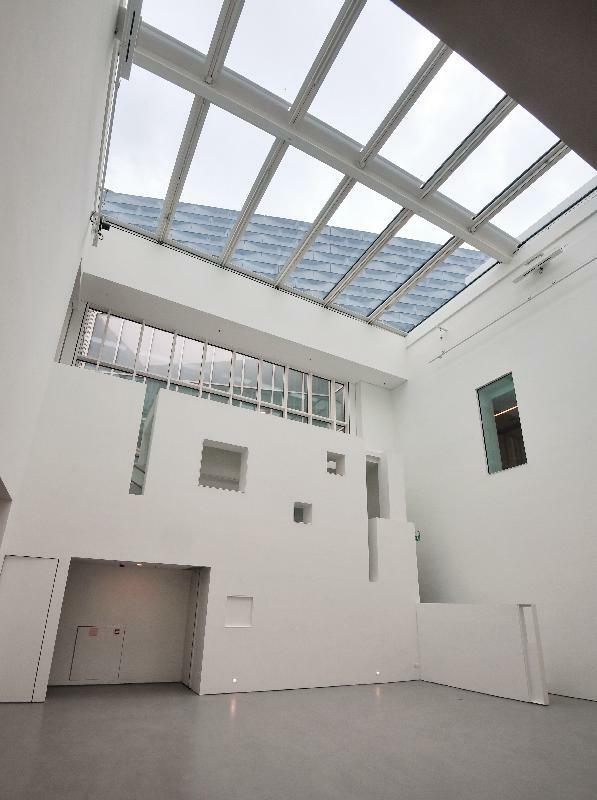 Two other new galleries will be provided on the extended roof floor of the museum. To enhance the visibility and accessibility of the museum, the reception lobby has been relocated from the first floor to the ground floor, with four entrances to enable visitors to access the museum from different directions. The area on the first floor has been converted into a multi-function hall for holding thematic exhibitions and cultural events. Furthermore, the museum restaurant and beverages outlets have been relocated to the harbour-facing side. The renovated museum, with its extended Art Square in Salisbury Garden, together with the outdoor Art Corridor, will enliven the atmosphere of the Tsim Sha Tsui waterfront and increase its vibrancy. Established in 1962, the HKMoA was first housed in the City Hall High Block and moved to its present purpose-built premises in Tsim Sha Tsui in 1991. It is the mission of the museum to preserve the cultural heritage of China and promote Hong Kong art, curating a rich world of contrasts with its four core collections that range from ancient to contemporary, namely Chinese Painting and Calligraphy, Chinese Antiquities, China Trade Art, and Modern and Hong Kong Art. The HKMoA is located at 10 Salisbury Road, Tsim Sha Tsui, Kowloon. For the latest news of the museum, please follow the Hong Kong Museum of Art on Facebook and Instagram.